Of all the games I checked out last week during PAX East, Splitgate: Arena Warfare was one game that I was extremely curious to try out for myself. 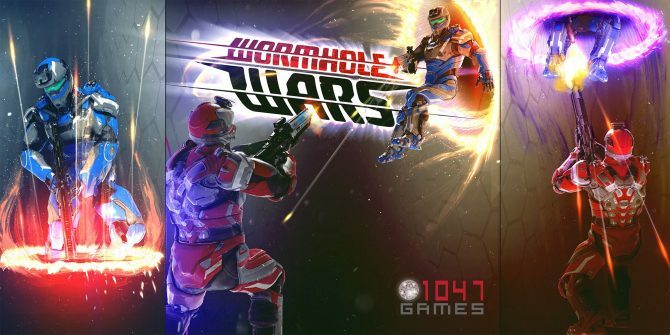 I had first started hearing about the multiplayer shooter at last year’s PAX when it was still known as Wormhole Wars. The pitch of combining the arena shooting of Halo–arguably my favorite multiplayer game ever–with the ability to traverse around the map like in Portal was incredibly interesting to me and I was excited to see how it worked in the actual game. 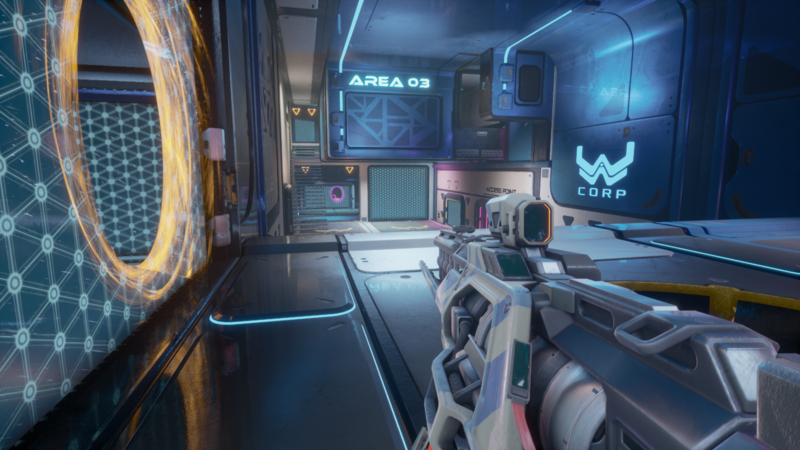 I played about three rounds of Splitgate: Arena Warfare and found it to quickly be exactly what it sells itself as: this is Halo combined with Portal. The maps I played were tight and contained various power weapons scattered around. Much like Halo, knowing where these stronger weapons spawn and then getting them before others can give you a leg up on the competition. As for the Portal aspect, certain walls in the game allow you to shoot portals on them to then quickly transfer yourself across to another location. This is incredibly satisfying when you see a wall in the distance that you then land a portal onto and immediately climb through to end up on the opposite side of the arena. It’s a nifty little tool to have at your disposal, although you never need to utilize the portal traversal if you’d prefer not to. Both of these qualities work well enough in tandem with one another in Splitgate: Arena Warfare, but I was left with some concerns. For starters, the actual gunplay in the game just felt okay. Guns didn’t seem to have a kick to them to make the basic act of just shooting at others feel good. In addition, the guns you have at your disposal aren’t unique in the slightest. 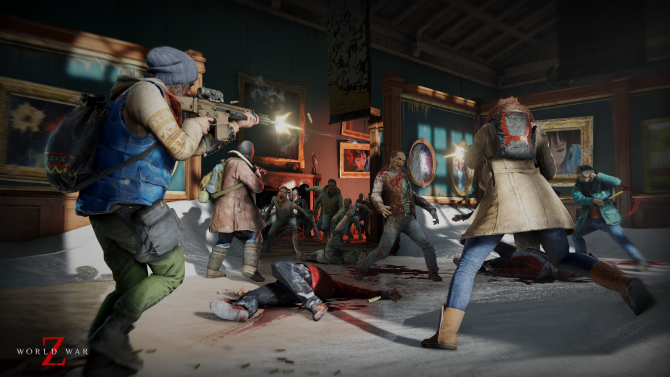 Along with your standard loadout that includes an assault rifle and pistol, the other weapons you can find in a given map include the battle rifle, SMG, and shotgun. There are others as well, but I didn’t run into them in my sessions. None of these weapons we bad per se, but they offered nothing exclusive or interesting compared to others in the genre. I also found there to be some minor issues with the portal usage in its current form. The biggest problem stemmed from the fact that portals aren’t always shot at ground level when you put them on a wall. This means that when you shoot a portal onto a surface, you can’t just run directly through it at times and your movement will be stopped because some of the lower portion of the wall is still exposed and is impeding your movement. If the portal doesn’t land on a wall at it’s lowest point, you’ll instead have to jump into the portal to make sure you aren’t stopped from entering. It’s a very small gripe, but one that bothered me more than once in my brief time with Splitgate. Even though I do have these issues, there were some moments during my matches that felt incredibly good. Seeing an opponent running your way, shooting a portal on a wall behind them, and then jumping through to then appear at their six and shoot them in the back was quite satisfying. I can see the promise that Splitgate has, but I wonder if that promise will be enough to cultivate an audience. And at the end of the day, that’s my biggest concern with Splitgate: Arena Warfare at the moment: I just don’t know if it’s doing enough here to really pull in a sizable player base. After my demo of the game, I was left wanting to play actual Halo more so than more of Splitgate. I imagine others will feel the same way once they try it out for themselves, too. 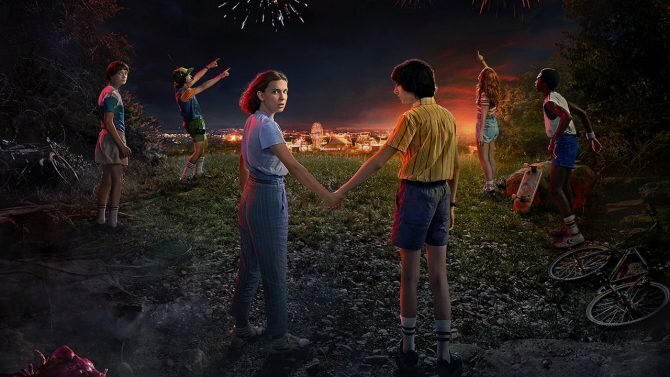 The addition of one simple mechanic in that of the portals just wasn’t enough to make me want to make this my new go-to multiplayer game. 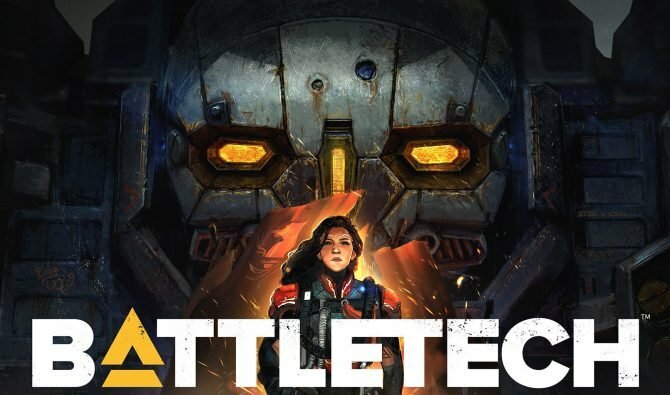 In a time where even solid mechanical shooters like Lawbreakers have struggled to find an audience, I think the same struggle could arise here for Splitgate: Arena Warfare once it releases. I think those that learn how to utilize the portal cross-map traversal at a high level will find the most enjoyment with the game, but that crowd I anticipate will be thin. That said, I’d love nothing more than to be wrong and see this game take off. 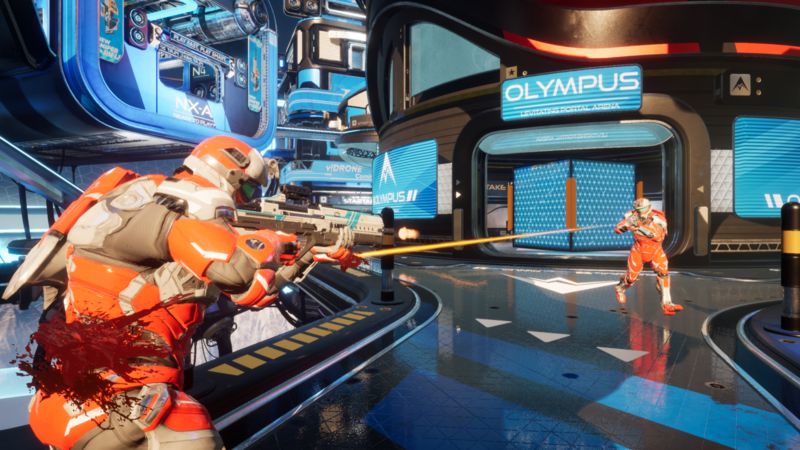 Splitgate: Arena Warfare is set to release at some point this spring on PC. 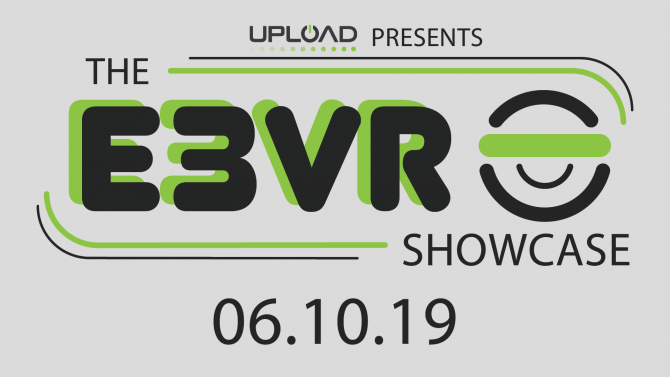 If you want to try it out ahead of launch, a closed beta is set to occur next weekend. 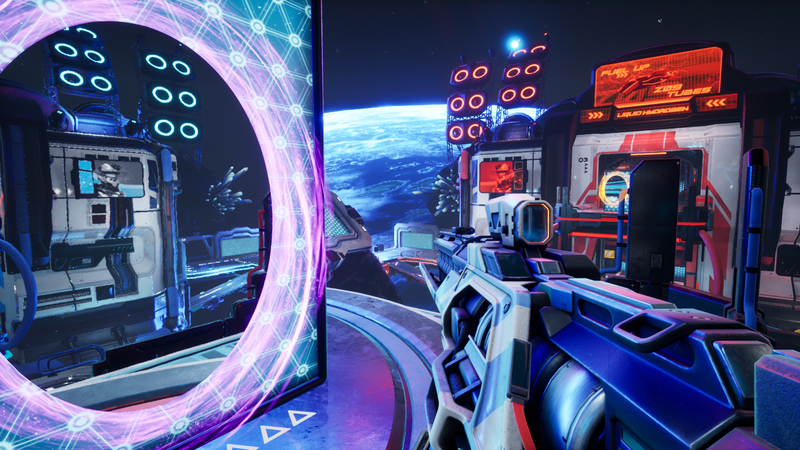 The Halo-Portal hybrid shooter Wormhole Wars has now been rebranded to Splitgate: Arena Warfare.